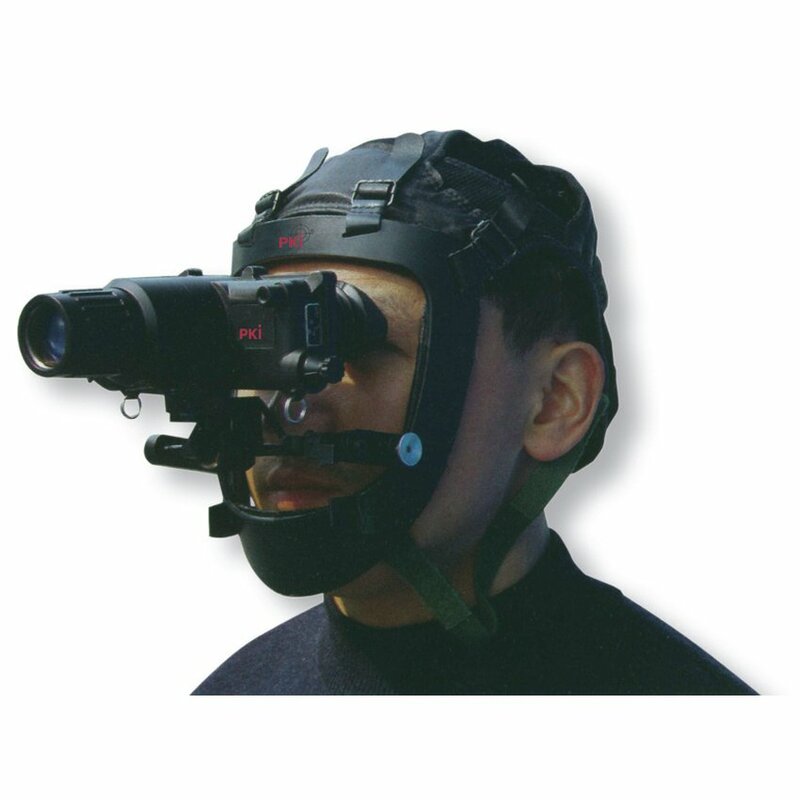 PKI 5320 is a helmet-mounted night vision device for hands-free operations. It improves the remaining light by its light intensifying tube of 2nd generation and should be used for patrols, (walking or driving), medical care, reading of maps or any other observation task under poor light conditions. Due to its universally adjustable head-mounting it can be used for every observation purpose where hands-free operation is essential. The integrated IR-light helps the operator to illuminate the area to be observed with a nearly invisible IR-light.